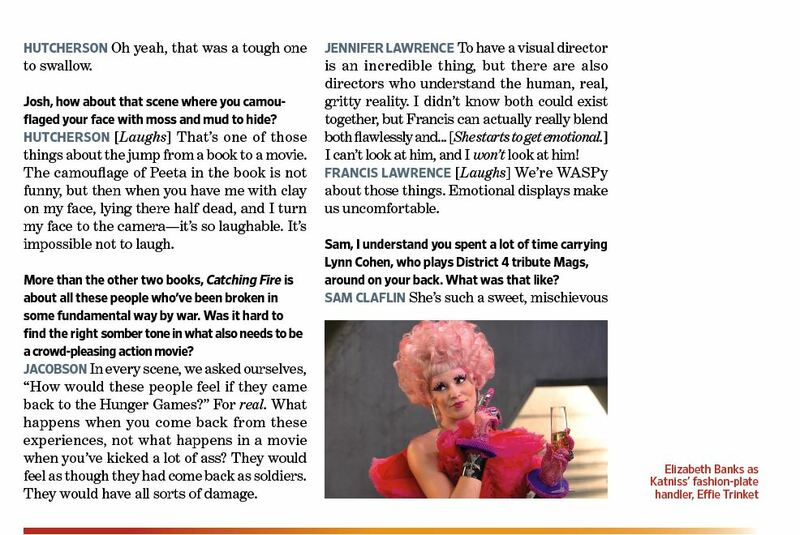 UPDATE: Thanks to @epnebelle, we now have scans from the physical issue, with some additional details from Jena Malone (Johanna). 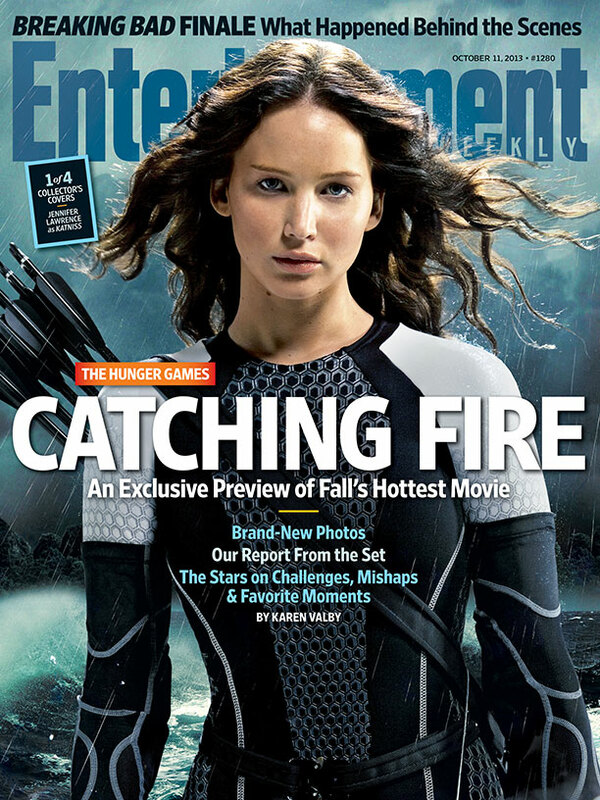 She reveals that her character is introduced with the elevator striptease scene! 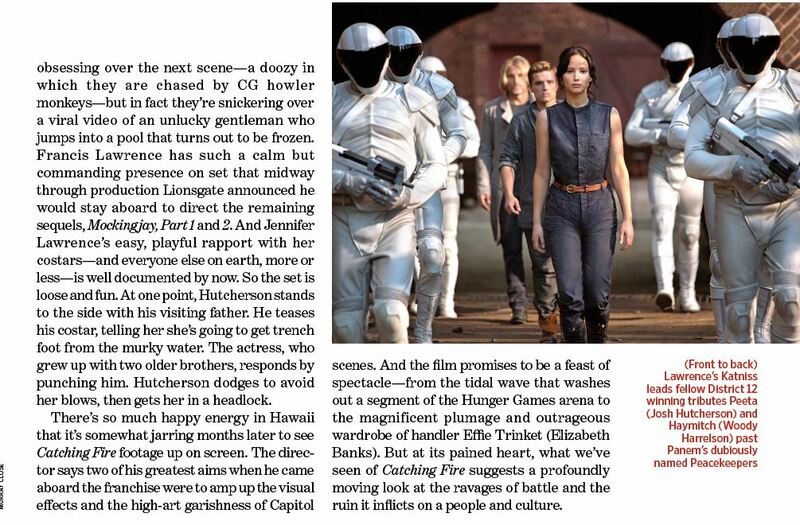 There is also a description of her being "drenched in blood". 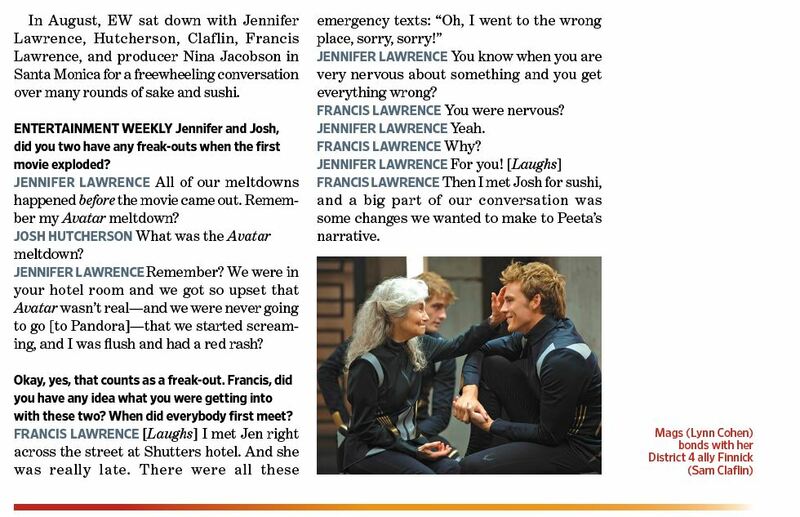 Sound like the blood rain scene? 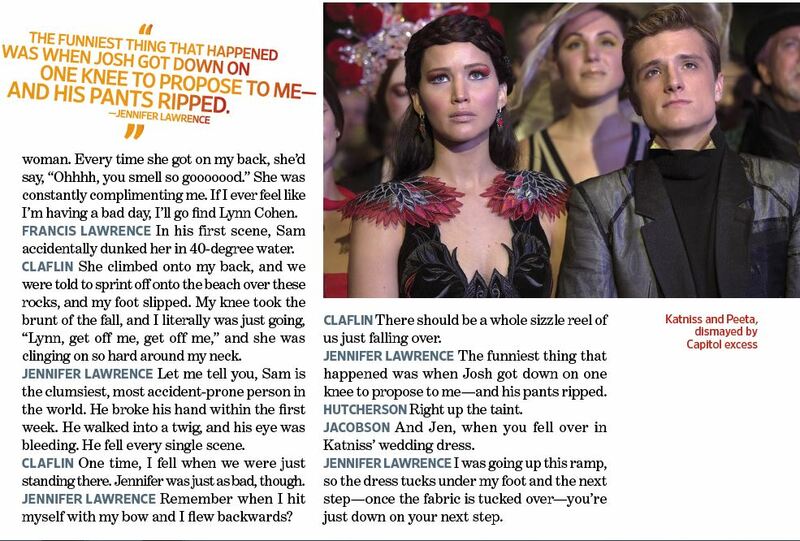 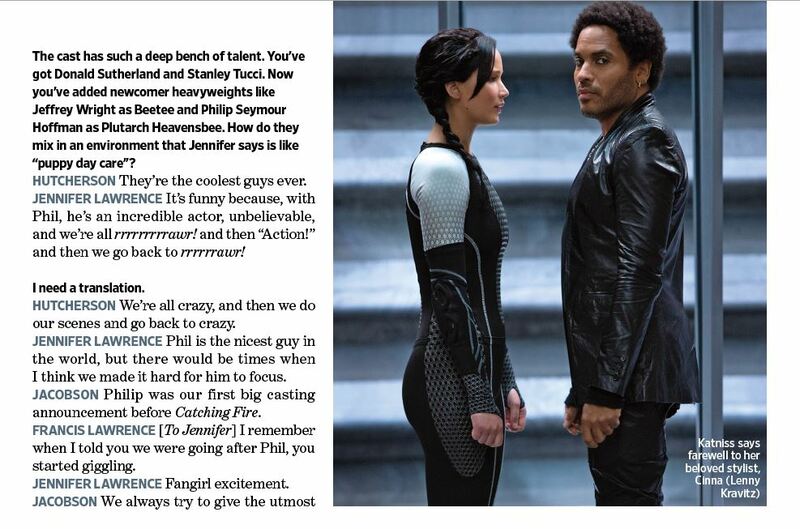 Entertainment Weekly's special Catching Fire issue is out now! 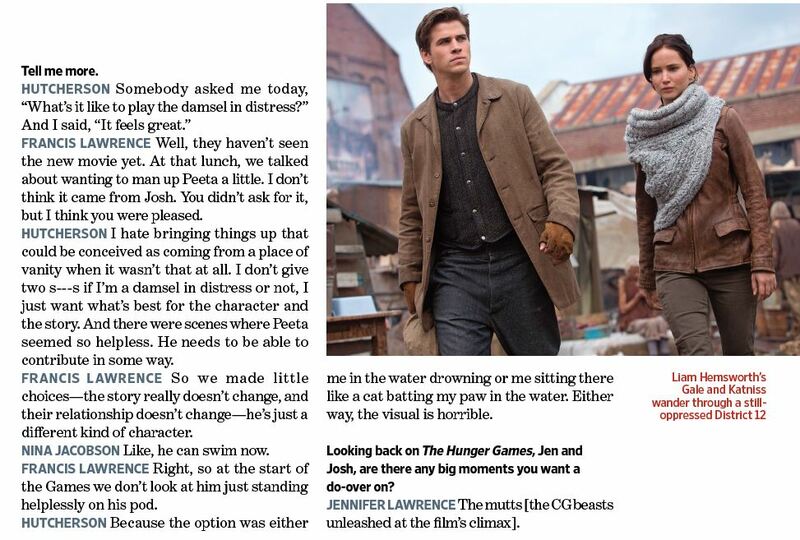 Today, the digital version of the issue arrived, and HQ scans of the feature have appeared online. 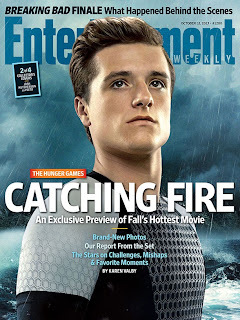 The physical issue is expected on newsstands across the USA tomorrow, with 4 special character covers to collect. 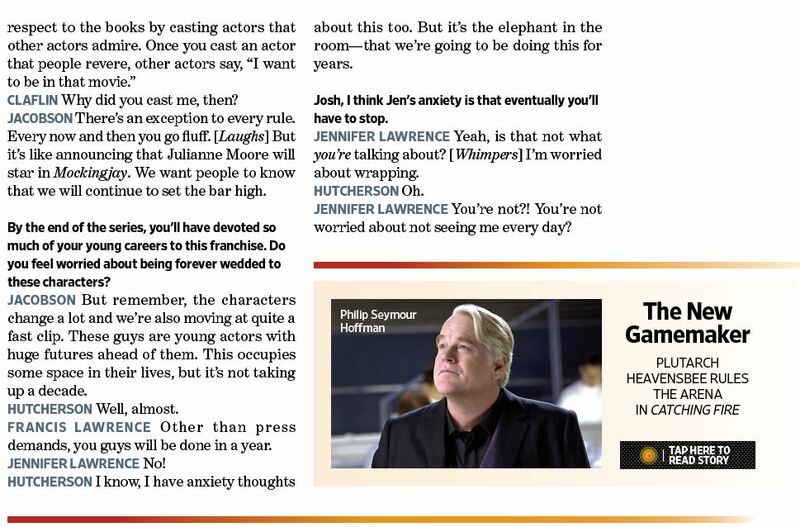 The feature includes EW's observations from their Hawaii set visit, and an extensive chat with Jennifer Lawrence, Josh Hutcherson, Sam Claflin, director Francis Lawrence and producer Nina Jacobson. 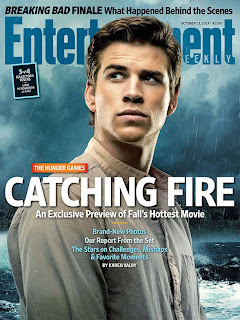 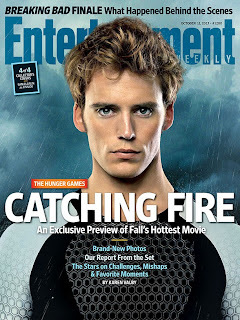 As promised, Entertainment Weekly have treated us to cover images of their upcoming Catching Fire issue! "In this week’s cover story, EW goes deep — deep into a Hawaiian jungle, that is, for an exclusive visit to the set of The Hunger Games: Catching Fire. 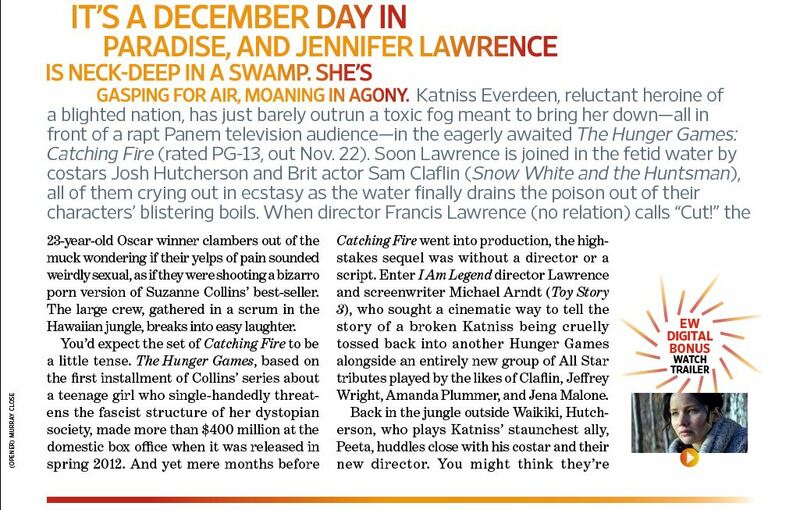 The highly anticipated sequel, in which Katniss Everdeen (Jennifer Lawrence) pays dearly for sparking unrest in Panem, doesn’t hit theaters until Nov. 22. But we’ve got all kinds of reporting to whet your appetite. 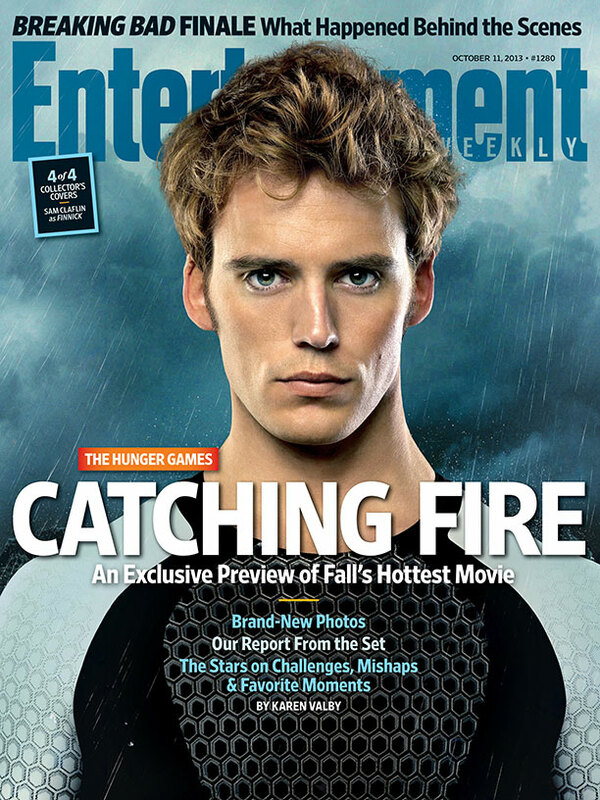 Plus, Katniss, Peeta (Josh Hutcherson), Gale (Liam Hemsworth), and Finnick (newcomer to the franchise Sam Claflin) all get their own collectible covers."